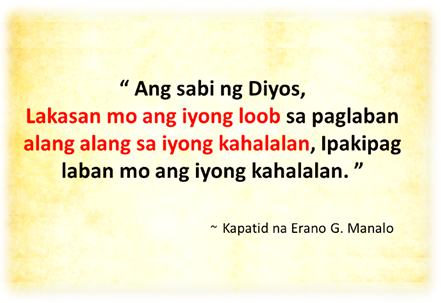 We strongly believe that the Iglesia Ni Cristo is the One true Church with the promise of salvation. Under Christ we are One. 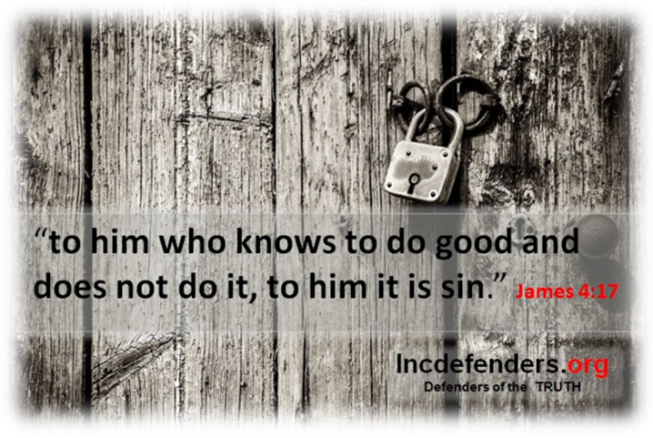 INCDefenders exists to defend the Church from God’s enemies. 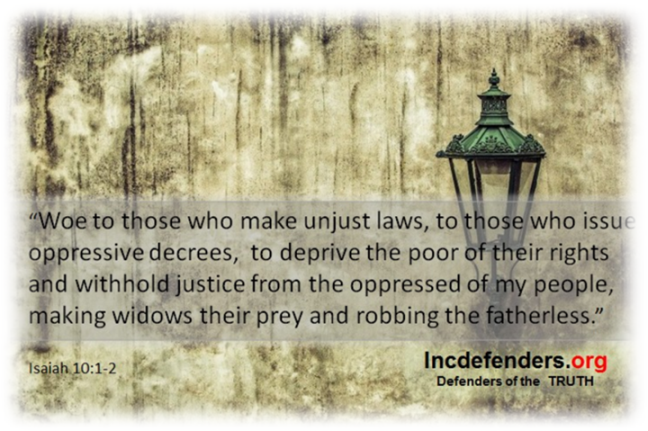 Our mission is to fight oppression and defend the Church from those those who try to destroy it and bruise our faith. We are One with the oppressed. We are One with the Church. We are One with God. 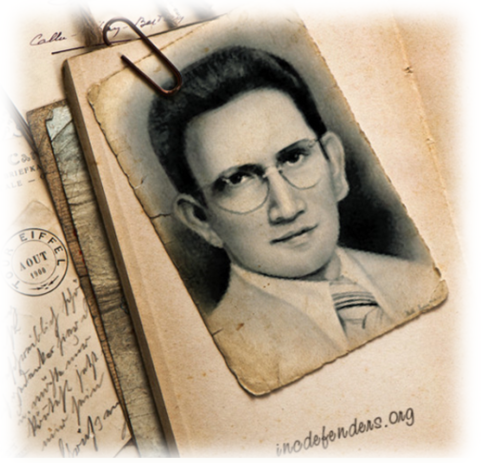 The Messenger of God in these last days, Brother Felix Y. Manalo, who administered the Iglesia Ni Cristo for almost half a century, as well as Brother Eraño G. Manalo, who administered the Church for about 46 years before he was laid to rest by God. how can we not remember the profound love they showed for the Church? How can we forget the people who fully sacrificed for us, even though they did not personally know many of us? How can we forget the worship services they officiated, which were always overflowing with blessings, from the beginning until the very end? 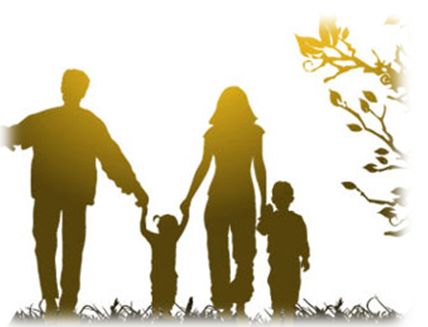 That is why we went home, our souls nourished, filled with hope, preparing us for any challenges we would face in life. Read more…. “Ikaw ay magiging mabuting lingkod ni Cristo Jesus kung ituturo mo sa mga kapatid angtagubiling ito. At habang itinuturo mo ito, dinudulutan mo rin ang iyong sarili ng pagkaingespirituwal at ng tunay na aral na sinusunod. Ituro mo’t ipatupad ang lahat ng ito” (I Tim.4:6, 11 MB). Tinitiyak ng Biblia na may “mabuting lingkod ni Cristo Jesus.” Ang isang tunay na Ministro ay dapat kabilang sa mabubuting lingkod ni Cristo. Ayon kay Apostol Pablo, ang “mabuting lingkod ni Cristo Jesus” ay ang nagtuturo at nagpapatupad ng mga tagubilin at aral sa mga kapatid. Sino nga ba ang mabuting lingkod ni Cristo? Ano-ano ang mga katangiang taglay niya? Ang pagsamba ang pinaka-sentro ng ating buhay-espiritwal. Bagama’t kasama natin ang Diyos sa lahat ng pagkakataon, sa pagsambang kongregasyonal lalo nating nadarama ang presensya ng Diyos sa pamamagitan ng Kaniyang espiritu. Utos ng Diyos na huwag nating pabayaan ang ating mga pagkakatipon o pagsamba (Heb. 10:25). Ang katumbas ng pagpapabaya sa pagsamba ay pagtalikod sa Diyos. The expulsions being conducted left and right by the Sanggunian (Council) not only of the brethren and officers but even of the ministers, have sown fear to many. That is why despite learning of the stomach-churning truth regarding the corruption being committed by some ministers who are in power, some choose to remain silent and wait for change and for God to “act”. They are waiting for the “miracle” and hope that one day they will wake up and all of the corruption will end, that the corrupt ministers will no longer be in the seat of power, and those ministers will have received their due punishment from God and the church will be at peace. Ipinakilala ng Panginoong Jesucristo ang Kaniyang sarili na mabuting pastor ng Kaniyang kawan (Juan 10:14, 16). Ang kawan ay ang Iglesia ni Cristo na binili ng Panginoong Jesucristo ng Kaniyang dugo (Gawa 20:28 Lamsa). Ang mabuting pastor ay handang ibigay ang kaniyang buhay dahil sa kaniyang mga tupa (Juan 10:11). Pinatunayan ito ng Panginoong Jesucristo noong ihandog Niya ang kaniyang sarili para sa pinakaiibig Niyang Iglesia—ang Kaniyang katawan na Kaniyang ililigtas (Efeso 5:25, 23). 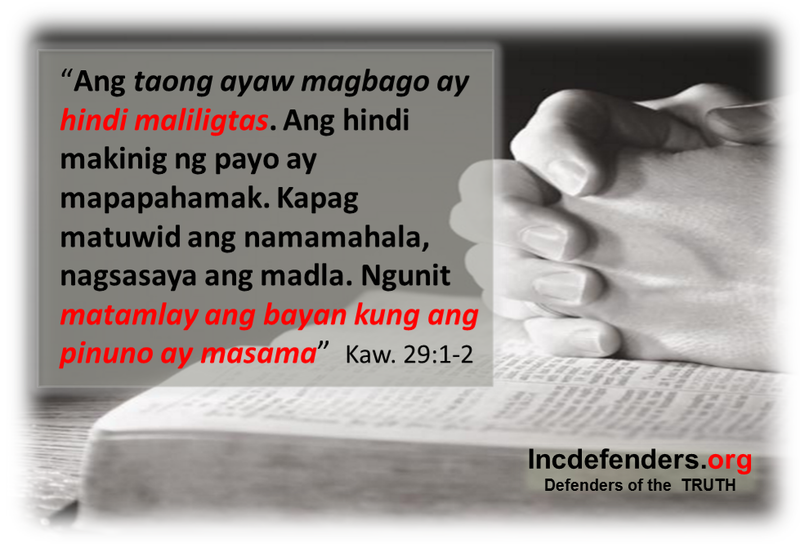 Ang Panginoong Jesucristo ang huwaran o pinakamabuting halimbawa na ibinibigay ng Biblia sa pag-aalaga at pagmamalasakit sa Iglesia. 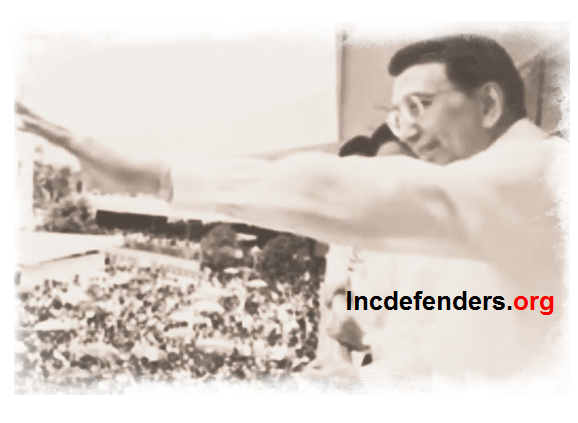 Some INC Ministers today do not uphold the same values and principles in their Ministry. They followed their own hearts’ desires for their own benefit, and therefore, have forgotten to consider the commandments of God. Some of these commandments that have been forsaken are the laws concerning the love for the brotherhood, the giving of offerings, and the strict instruction of God for those who have part in the Ministry. 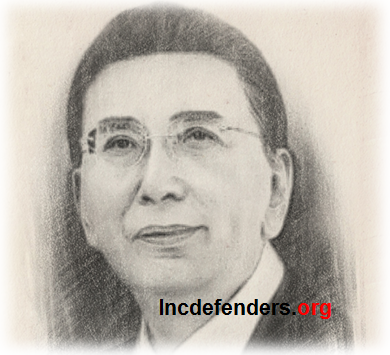 READ MORE…..
We strongly believe that the Iglesia Ni Cristo is the One true Church with the promise of salvation. Under Christ we are One. 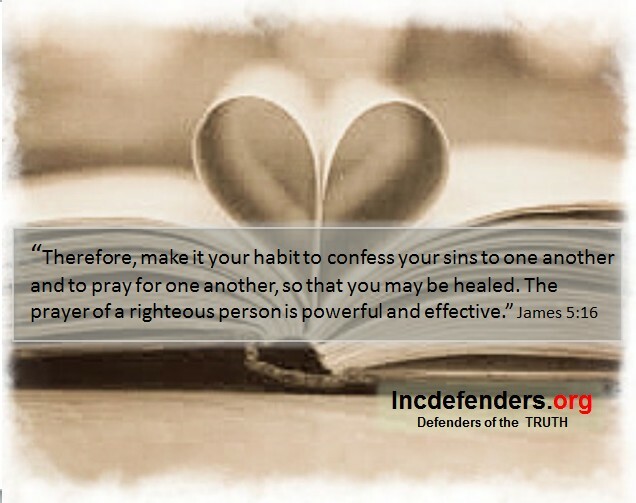 INCDefenders exists to defend the Church from God’s enemies. Our mission is to fight oppression and defend the Church from those those who try to destroy it and bruise our faith. We are One with the oppressed. We are One with the Church. We are One with God. INCDefenders shall not be moved. We stand firm and committed on our mission. Determined and full of faith, we shall continue to fight on God’s side.